Pokémon Go, the mobile game that turned into a global phenomenon, has hit its two-year anniversary, and Niantic is celebrating with a ‘Summer Style’ Pikachu. 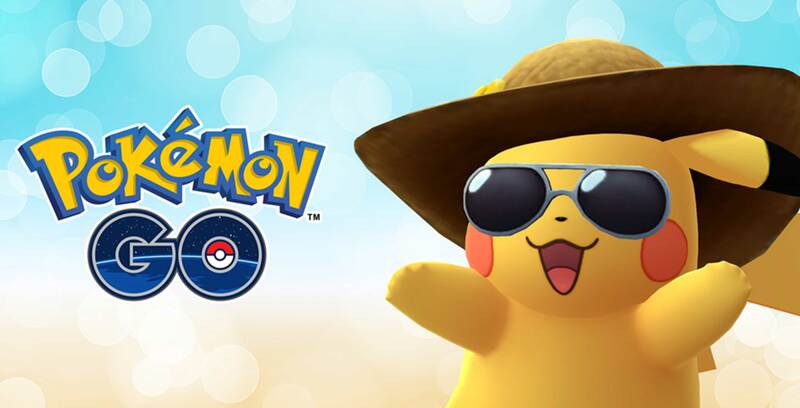 The new version of Pikachu is sporting a wide-brimmed straw hat and a pair of aviators. Trainers will start to see the special Pocket Monster pop-up in-game on July 6th. The stylish Pikachu is going to be in the game until July 31st so everyone should have lots of time to add one to their collection. Niantic has also added new Pikachu avatar items for players to wear. If the trainer has a gold Pikachu fan medal — which means they’ve caught 300 Pikachus — than they’ll have access to a new t-shirt, or a pair of Pikachu ears to try on. The last thing that the Pokémon Go team hinted at was that it was getting close to releasing the Mythical Pokémon Celebi. Celebi is a psychic and grass-type Pokémon that was introduced as the Mew equivalent in Pokémon Gold and Silver. It’s looking like it will be the next Special Research task reward after Mew. This new wave of news is really exciting and it sets the stage for a really busy month for Pokémon trainers. Players now can set goals to catch the famous Squirtle Squad, a raid against the legendary Regice and trade, as the game is really falling into its stride during year two.